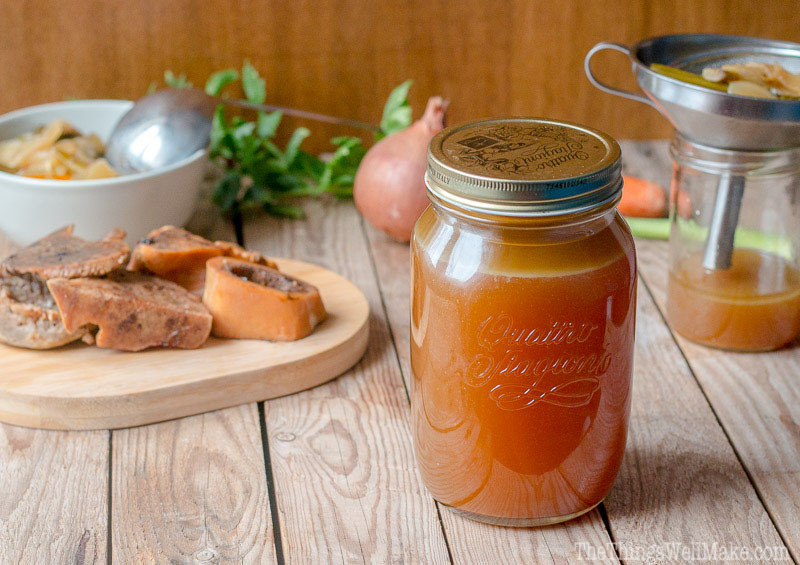 There is a lot of talk about beef bone broth at the moment. So, is it the nutrient dense liquor that it is purported to be? (You can read more of this article @The Daily Mail Online: published 3 March 2015, updated 25 May 2015). There is no doubt that stock has been used in traditional cooking in many cultures for thousands of years, but modern science is struggling to explain the nutritional benefits of this culinary staple. Gelatin is a protein-rich food, and it comes out of bones when they are boiled. Bones also contain minerals which are essential to good health, so is bone broth rich in minerals? This is the question no-one can quite answer. In an archaeology journal, the authors of a 2002 paper state that: “It is shown that cooking for brief periods of time has little distinguishable effect on bone in the short term, but that increased boiling times can …[lead to] the loss of collagen and alterations to the bone mineral [composition]….” The taphonomy of cooked bone: characterising boiling and its physico–chemical effects (Archaeometry Volume 44, Issue 3, pages 485–494, August 2002). Place the bones in a large roasting pan and roast until bones have browned (this step is not mandatory and can be skipped if time is an issue). Place the browned bones in a Crockpot with the vegetables and seasonings and fill with water leaving at least one inch from the top. Pour in the vinegar. Put the crockpot on low and let cook for around 8-12 hours. (you can leave let them cook for 48 hours for maximum nutritional status, but 12 hours is usually fine). For the last hour of cooking, place the bunch of parsley into the broth. Switch Crockpot off and carefully remove the bones with some tongs. You can push the marrow out of the bones and back into the broth. Pour the broth through a sieve into another pot to cool (most don’t strain, just take out the bones).